To many, packages of fresh cranberries in markets this time of year mean cranberry sauce. 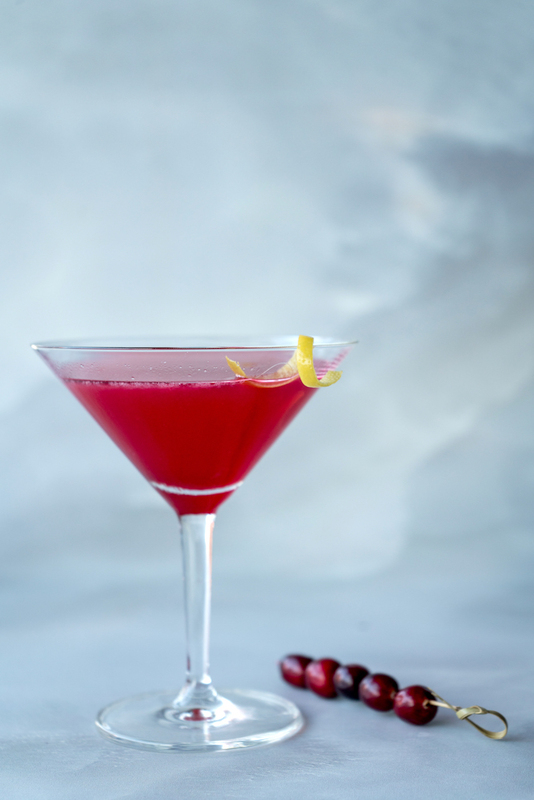 To me, they say it’s time to make a key ingredient for my favorite seasonal cocktail: the Cranberry Rose. It’s a riff on the traditional Jack Rose, a simple cocktail made with applejack brandy, lemon juice and grenadine. The Jack Rose is an old-fashioned sipper that was popular in the ’20s and ’30s — it even gets a mention in Hemingway’s The Sun Also Rises). This variation was borne out of some recipe testing last year that left me with extra cranberry syrup, which seemed a natural substitute for grenadine. And along with applejack brandy, which dates back to colonial New Jersey, it makes for a truly all-American seasonal cocktail. For parties you can scale up a big batch of the mix to shake and serve on demand. The cranberry syrup comes from The Cranberry Cookbook by Sally Pasley Vargas. It's a great mixer for all kinds of cocktails, from this simple riff on a Jack Rose to margaritas to a seasonal French 75. To make the cocktail: Combine brandy, lemon juice and syrup in an ice-filled cocktail shaker. Shake 10 seconds and strain into a chilled martin or couple glass. Garnish with a lemon twist and, if desired, skewered cranberries.